I just can't understand how someone like him could do something like that. Amid the worst drought to ravage Australia in a century, it hasn't rained in small country town Kiewarra for two years. Tensions in the community become unbearable when three members of the Hadler family are brutally murdered. Everyone thinks Luke Hadler, who committed suicide after slaughtering his wife and six-year-old son, is guilty. Policeman Aaron Falk returns to the town of his youth for the funeral of his childhood best friend, and is unwillingly drawn into the investigation. As questions mount and suspicion spreads through the town, Falk is forced to confront the community that rejected him 20 years earlier. Because Falk and Luke Hadler shared a secret, one which Luke's death threatens to unearth. 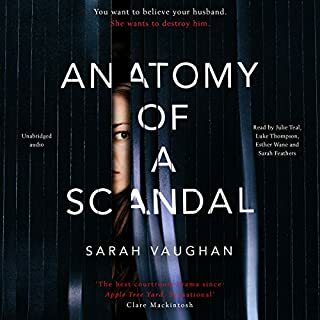 And as Falk probes deeper into the killings, secrets from his past and why he left home bubble to the surface as he questions the truth of his friend's crime. A really believable story full of brooding tension and atmosphere. The pace of the story was maintained throughout and a very satisfactory ending. 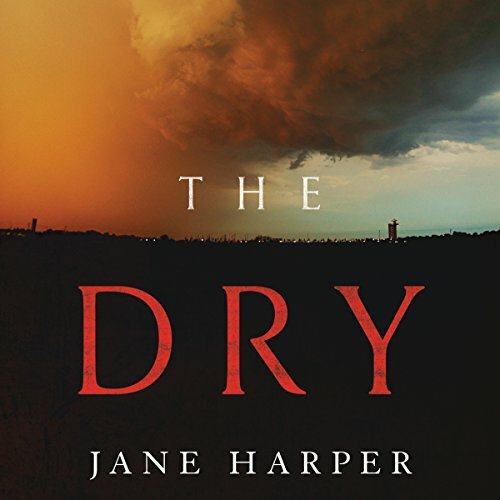 A really good listen, set in the Australian outback where it hasn't rained for two years and everyone is feeling the strain and pressure of a town that's slowly dying in the heat and the locals are unable to stop it ! Arron returns for his friends funeral and has to stay to solve three murders of the present and one of twenty years ago. Well worth the price! I'm in the highly unusual position of being unable to find a single thing to criticise about this book! So get ready for a dull review – or here's a better idea, skip the review and read the book instead. 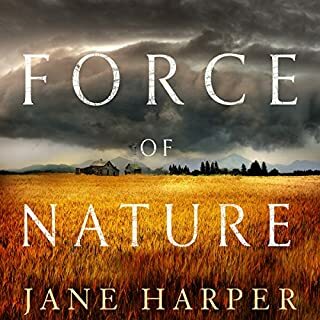 The writing is great – Harper conjures up this drought-ridden and anxious community brilliantly, showing the deep connection between man and nature in a town that relies on its farmers for survival. There's are some dark descriptions right from the start, with blowflies being the first to find the bodies of Karen and her little son, Billy, but Harper stops well short of being gratuitously gruesome – the balance is just about perfect. I liked Falk as a character very much, so am rather glad to see that the book is listed as the first in a series. Although he had to face a terrible incident in his past, he hasn't allowed it to make him either embittered or angst-ridden. He's professional and intelligent and is someone I'd happily spend more time with. 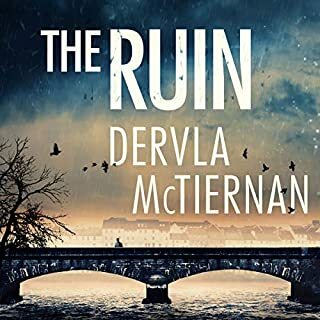 The new local policeman Raco, too, is a refreshing character – a happily married man looking forward to the birth of his first child, he treats people with respect and uses his brains rather than his brawn to get to the truth. 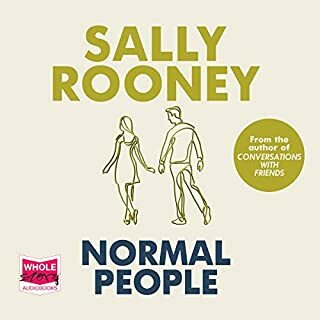 And the characterisation is just as good of the other townspeople – from Luke's grieving parents, to Aaron's childhood friend Gretchen, to the people who still hold Aaron responsible for what happened back in the past – a whole range from nice to nasty, and each equally convincing. 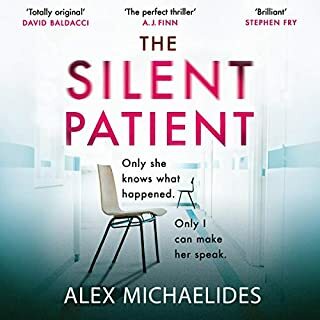 The plot is strong and well-executed; the familiar device of a crime from the past resurfacing in the present feeling fresh because of the skill in the telling. Raco also has doubts about Luke's guilt, because of a couple of things that don't make sense to him. His main issue is that little baby Charlotte survived, and he's convinced that if Luke had decided to destroy his family out of desperation, he'd have killed the baby too. So Raco and Falk team up, and as they investigate the current crime, the shadows of the past loom ever larger. Harper plants false trails all the way through – I freely admit that I suspected everyone in turn, but was still surprised by the solution. And yet it feels totally fair – all the clues are there and, when the reveal comes, it's completely credible. Add to all this one of the best and most original thriller endings I've read in a long time, and you can see why I'm at a loss to find anything to grumble about. 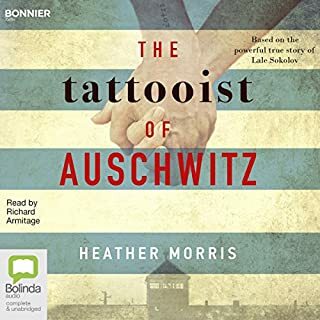 I part read this book and part listened to it on the Audible audiobook version narrated by Stephen Shanahan. Annoyingly, I can't fault it either! Shanahan's narration is the perfect complement to the book. He has a lovely Australian accent, but not at all broad enough to be difficult for non-Australians – it reminded me a little of Pat Cash's accent. He doesn't exactly “act” all the parts, but he manages to differentiate between the different voices. There is one Scottish character, and I was impressed by the accuracy of his Scottish accent. One thing I really liked was that Shanahan used a “younger” voice for Aaron in the sections set in the past – a little quicker and lighter than the voice of adult Falk in the present. 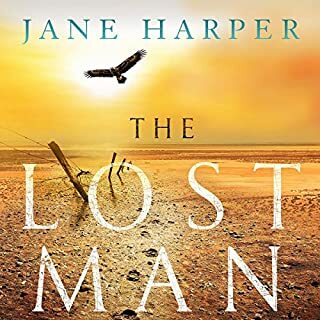 And, whether intentional or not, Harper also made this an easier listen than some audiobooks, by calling the young version Aaron and the present version Falk throughout, which was a huge help in clarifying which period we were in. On the printed page, the past sections are in italics, but of course, this is no help when listening. It would be great, now that audiobooks are becoming such a big thing, if more authors thought about how to differentiate for a listening audience as well as a reading one. 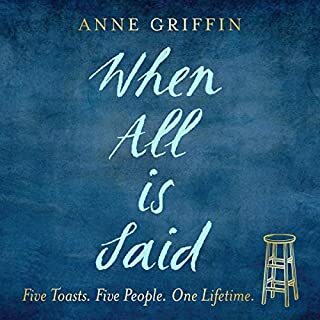 All-in-all, a brilliant read and an excellent listen! 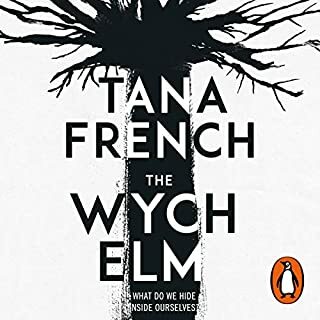 I'm enjoying the read/listen experience in general – a good narration adds another level to the characterisation and for books set elsewhere it also means you get the correct pronunciation of place names and so on. This one will undoubtedly turn up in my best of the year list, but don't wait till then – grab it if you can! 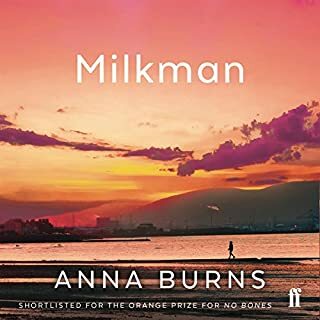 NB This book was provided for review by the publisher, Little, Brown Book Group Ltd., and the audiobook was provided for review by Audible via MidasPR. Not sure who is reading this and rating it so highly. Is money involved? Dull and drawn out. Feel as tho I've wasted a few hours of my life. In particular I think the narrator was poorly chosen - Australian accent yes, good reader - absolutely not. His reading just compounded and magnified the dullness. Overall a good story with some interesting characters. This is a good beach listen with a sympathetic main character who I expect will be making a return appearance. 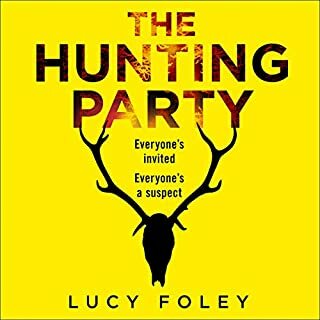 You can't go wrong with this story of murder in the Outback - and it joins an increasingly impressive list of Australian thriller writers and story tellers. 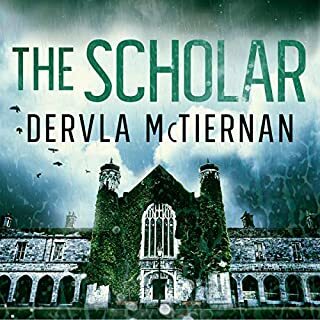 Apart from the delightfully awful 'Scottish' accent (not even deserving of the 'ish', but so bad it was funny), this book was excellently narrated and well written. It did get a tad stodgy in the middle, as books often do, but I was hooked enough to want to know whodunnit. With two separate mysteries in the plot, one past and one present, it was a rich story. I thought the claustrophobic small town setting worked well. Thumbs up. This is a first rate Australian novel set during the worst drought in living memory with many flashbacks to previous times. I've given it only 3 stars not because of the novel itself but because as an audiobook it has a fatal flaw. Police investigator Aeron Falks has come back to 'tiny' Kiewarra, his childhood home after his old school friend Luke has killed himself and his family. The local police see it as just one more desperate farmer resorting to desperate measures in desperate times of severe drought. But Aeron is not convinced and just as the drought reveals stretches of parched land not seen before, so his investigations uncover more and more from the past. Menace and violence increase. 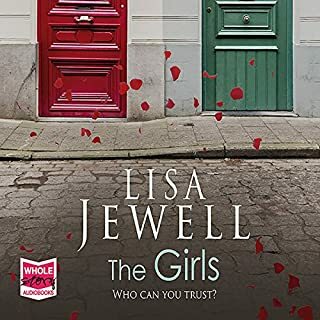 What was the truth about the murder of Luke and Aeron's 17 year-old friend Ellie way back, and why did Aeron give Luke a false alibi? Why had Aeron had to leave for Melbourne after Ellie's death? 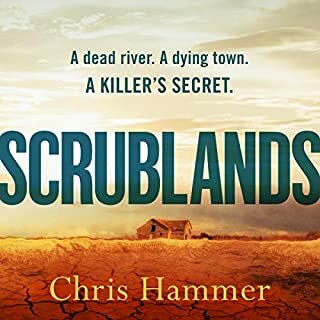 It's good with gutsy, coarse dialogue, violence simmering not far beneath the residents pressed to the edge by the drought wiping out their livelihoods who will give punches 'like a dog out of a kennel'. Gradually the true account of these interlocked characters comes out. The Australian landscape, the unrelenting heat and those beaten people battling against the drought make a powerful back drop. It all makes for a strong first novel but it needs to be read, not listened to. The problem is that there are many, many flashbacks. On the printed page these can be made obvious, but here there is no pause or real differentiation between the sections. The result is constant confusion which becomes irritating as well as bewildering. There needed to be two different narrators, one for young Aeron and one for returned-to-Kiewarra Aeron. Narrator Steve Shanahan who is Australian does a great gritty job of narrating - but he SO can't do a Scottish accent! It's just as well that the Barman McMurdo has a small part! 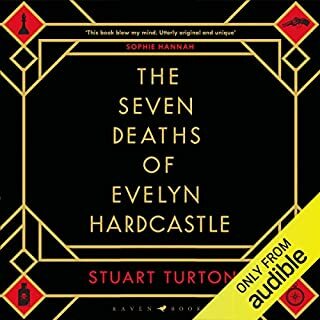 So, great novel but unsuccessful audiobook. This story - set in a drought ridden country town - is absolutely depressing! The countryside is very well evoked - certainly don't want to go there. The inhabitants are mostly frightful - bullying types who gang up against someone who left town 20 years ago when he was suspected of a murder, for no real reason. The fact there is a drought doesn't excuse their behaviour - but of course they have nothing else to think about, as their farms are going under. So this passes the time for them. The actual murder mystery (the recent one) is solved after much deduction - I must say I was wrong about it for about 75% of the time. All in all an interesting read - presumably sponsored by the Australian anti-immigration society!! I shall certainly look out for another book by this author, although I hope it will be more cheerful! Enjoying the book but the narrator does a terrible Scottish accent it's hard to listen to! 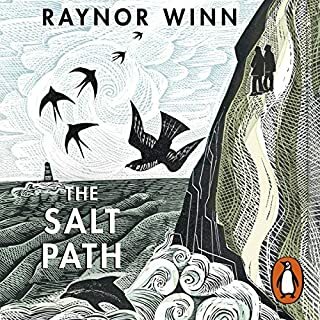 A very good book if you have the quiet time to listen carefully and concentrate, not because the story is challenging particularly, but that the narrator flicks from the present to the past so quickly without pause. The narrator, once you get the hang of how the story flicks and flows, is good. 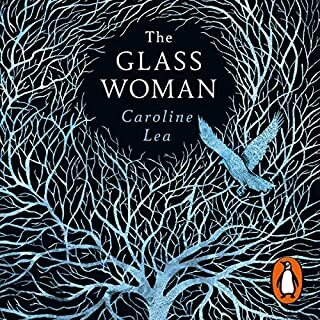 The story is full of wonderful vivid descriptions and a sense of wild outback bleakness. I really enjoyed the characters and as a thriller/mystery it ticked a lot of boxes. 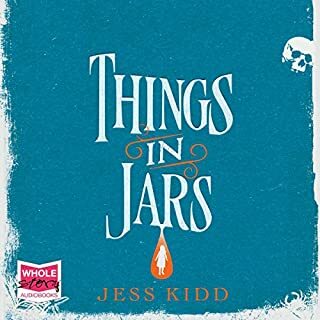 I would have liked to have given this one five stars all round, but the way it narrated with the jumping story line meant I needed to keep going back on chapters too frequently which ruined it a little...or perhaps that's just me. Such clever writing and brilliant narration. Highly recommended to anyone who loves good plotting and realistic characters. what a wonderful read, I was riveted, and great to hear it wirh an Australian accent.